Our YouTube channel is close to hitting the 6 million views (currently at 5,946,939) with over 19,000 subscribers. 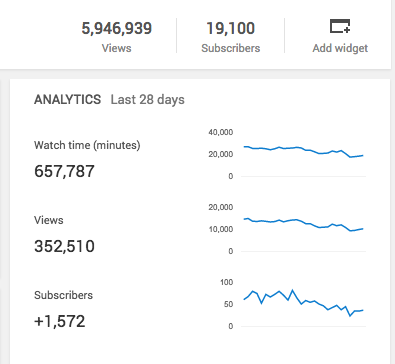 We are currently seeing around 500,000 views a month, so we will hit 6 million views in the next few days. Considering our first video seemed popular at 1200 views, the growth has been staggering, particularly over the last 12 months. A year ago this week, we were excited to have hit one million views !